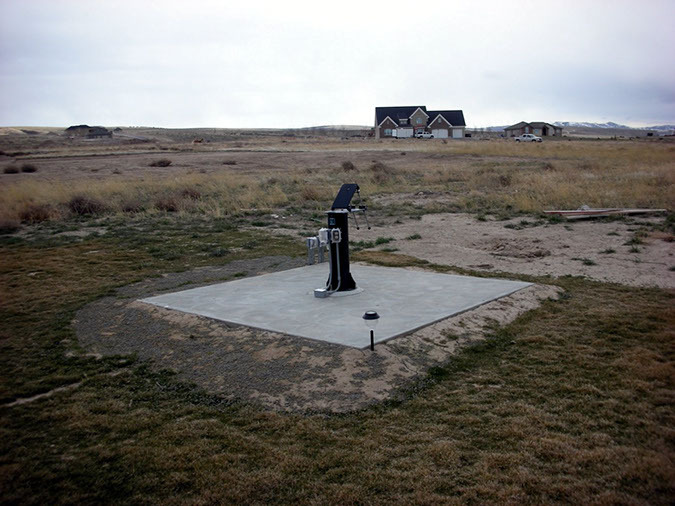 The observing pad was installed in the summer of 2006. It is a 10x10 foot concrete pad with an Astropier installed on a separate foundation. This photo shows the pad shortly after completion.